A SLAP Lesion is a tear of the superior glenoid labrum near to the origin of the long head of biceps. The acronym SLAP is named for the Superior Labrum Anterior and Posterior. The Anterior Slide Test for SLAP Lesions is a test used in orthopedic examination of the shoulder when testing for lesions to the superior aspect of the glenoid labrum. It is commonly coupled with the clunk test, the crank test, and O’ Briens test. The test is best performed with the patient in sitting with their hand resting on their hip with thumbs facing posteriorly. The test can also be performed in standing. As usual, it is best to test both sides for comparison. The examiner puts one hand on the top of the patient’s shoulder, proximal to the glenohumeral joint, stabilizing the scapula, acromion, and clavicle. 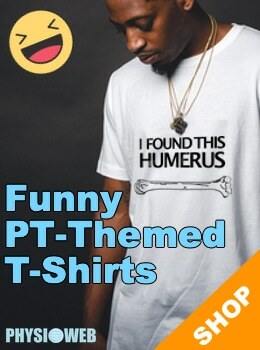 The examiner cups the other hand on the elbow / distal aspect of the humerus and exerts a superior and anterior force along the line of the humerus while continuing to stabilize the shoulder with the other hand. You may ask the patient to resist the force. The Anterior Slide Test for SLAP Lesions is considered positive if the patient’s pain is reproduced and / or a click or pop is heard / felt localized to anterior shoulder under examiner’s hand at the acromion. This test is considered to be quite accurate for determining a tear in the superior glenoid labrum, near the origin of the long head of biceps.